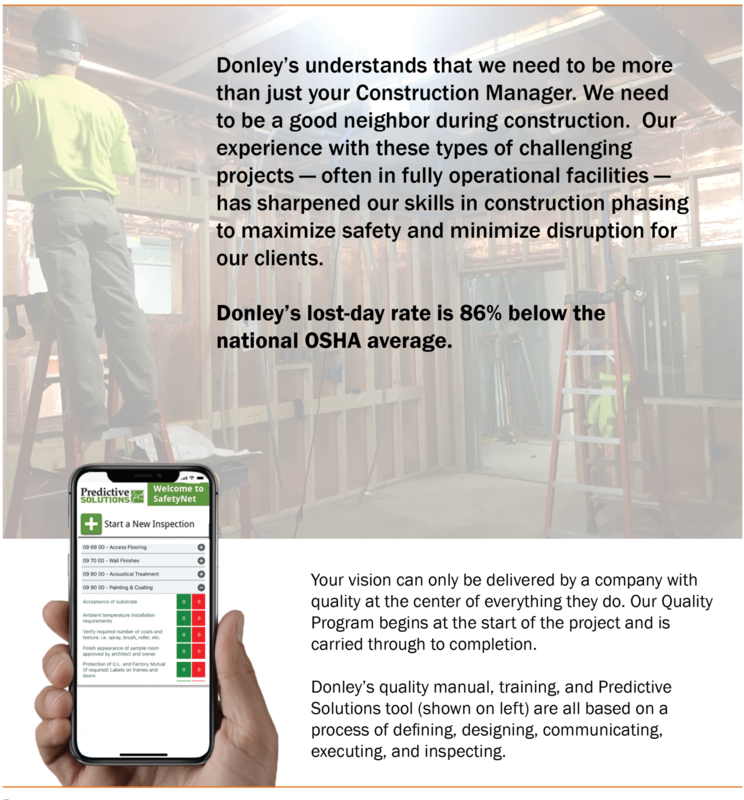 The journey of an interior construction project can lead down many paths… you need to make certain that you have a solution-driven builder who can look around the corners, mitigate schedule and budget risks, and deliver your vision. 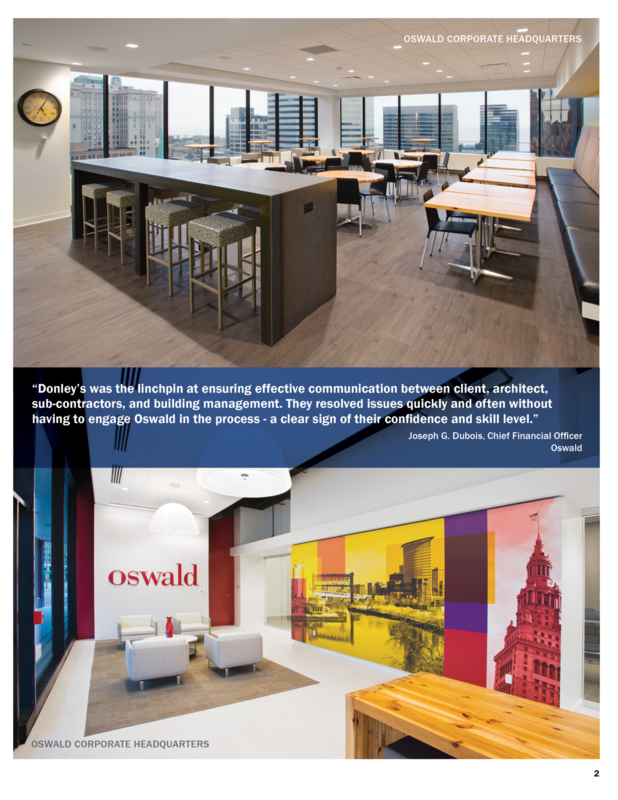 Our genuine people bring an additional sense of commitment and passion in developing partnerships that result in spaces that will help your organization thrive. These partnerships are not only the owner but with the design and engineering partners as well. Time lapse video of the new tower at Summa Health System – Akron Campus. Construction is expected to be complete in May 2019. Proud to be working with our joint venture partner, Shook Construction along with Perspectus Architecture and Hasenstab Architects. 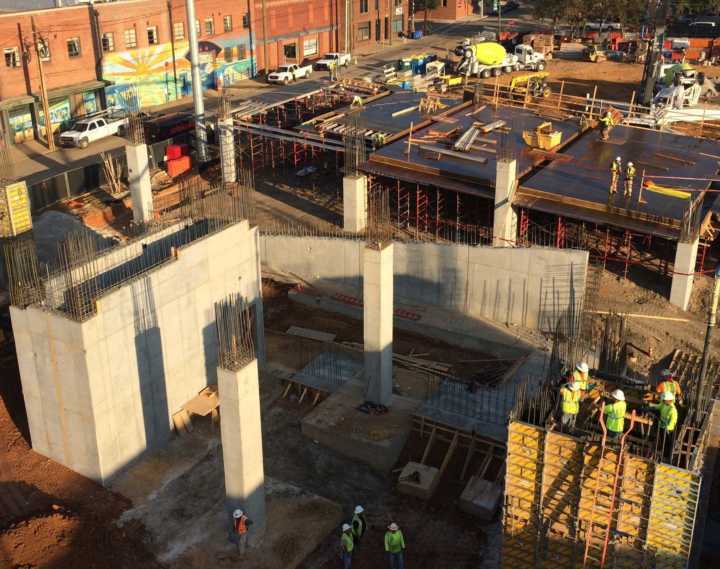 DCG Raleigh was awarded a $2 million in concrete services for a pharmaceutical manufacturing facility with BE&K in Holly Springs, NC (just five miles from our new office). In 2005 and 2006, Blair Concrete completed four of the five original facility structures (Novartis). The owner’s rep was there in 2005 and they are excited to have us back for our start this December. DCG Virginia was recently awarded the $9.3 million Garrett Street Mixed Use Office Building Project (aka Apex Clean Energy Building) for Whiting-Turner. 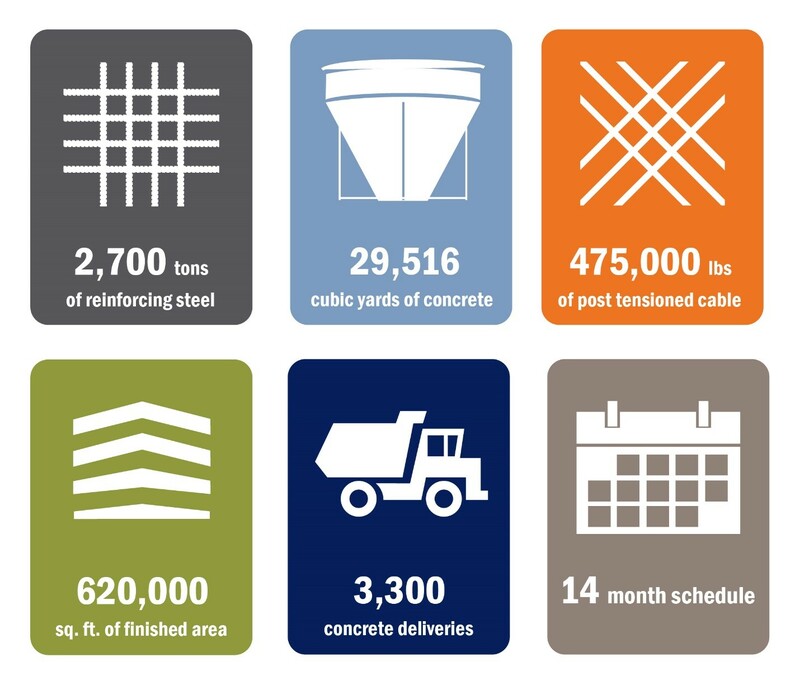 Since expanding our concrete services in Virginia, this has been the largest concrete project won. This project is located in Charlottesville, VA. It will consist of three frames levels of parking/podium 11 levels of concrete cores surrounded by heavy timber framing. It will have 40,000 sq. ft. of slab on grade and 165,000 sq. 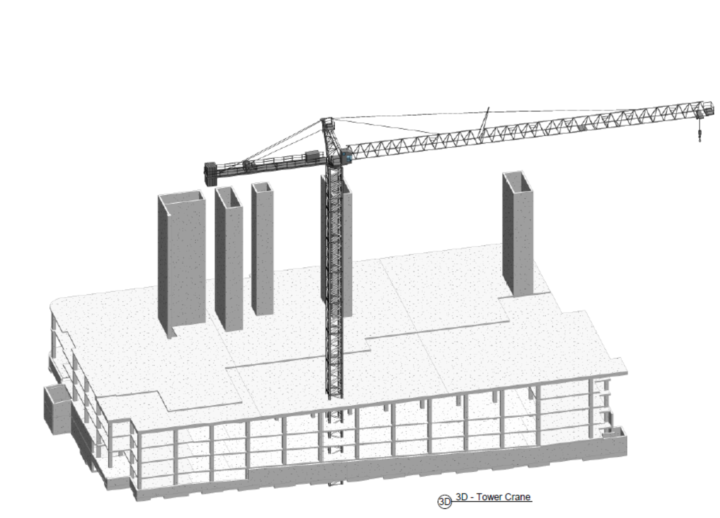 ft. of structural slab. The project will most likely start around April/May 2019. 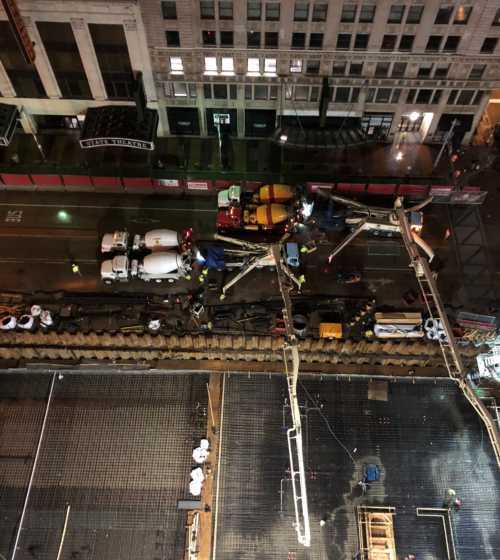 Over the weekend, Donley’s Northeast Ohio Concrete Group worked through the night on the first (of two) mat placement pours at the Playhouse Square The Lumen Project in Cleveland, Ohio. Thank you to all those who were a part of this 18.5 hour pour. Your dedication and hard work are the reason this pour was a success! Keep up the great work! Fun Facts The Pour Was Serviced From 3 Separate Ready-Mix Plants. 4 Active Pump Trucks With 1 Stand-By Pump Were Utilized. 52 Concrete Trucks Were Used, Running Round Trips To Maintain The Pace Of Installation. 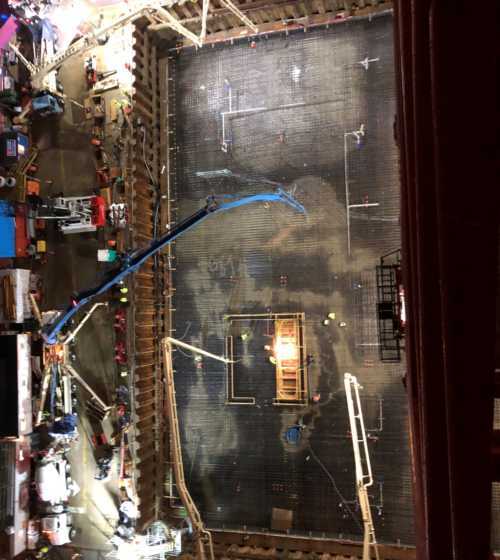 Placement Lasted 10.5 Hours (2:00 A.M. To 12:30 P.M.), With The Final Finishing Lasting An Additional 8 Hours (12:30 P.M. To 8:30 P.M.). 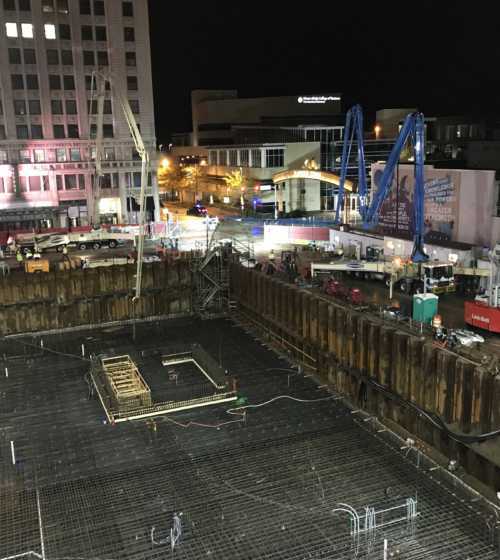 Total Duration Of The Pour Lasted 18.5 Hours! Average Placement Of 408 CY/Hour. Peak Placement Hours Surpassed 700 CY/Hour. 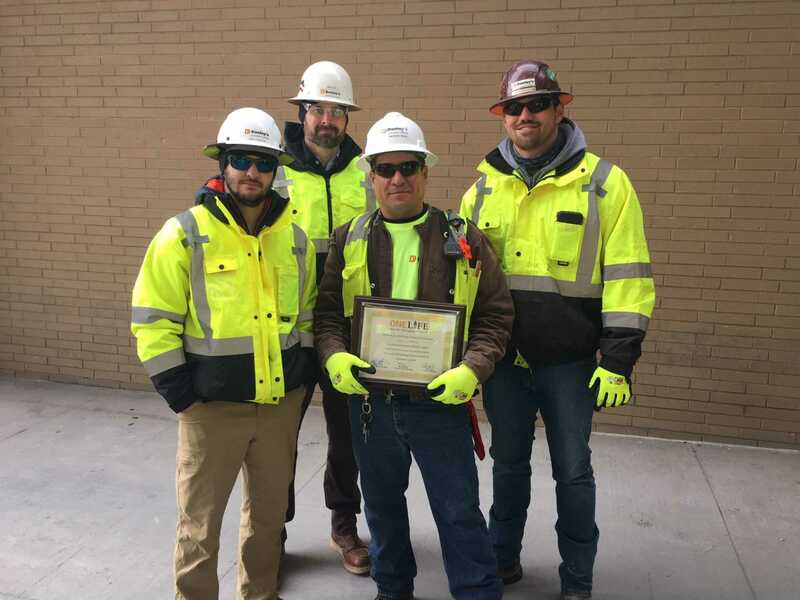 Donley’s Concrete Group (DCG) recently submitted a project to the Associated Builders and Contractors, INC (ABC) Excellence in Construction (EIC) awards program. This award program is the industry’s premier competition, with hundreds of projects vying to be named the best in North Carolina in up to 50 categories. Of the 69 projects submitted for judging in this year’s ABC Carolinas Chapter EIC Awards Program, DCG will receive a Merit Award for The Dillon project. The ABC EIC award application requires detailed descriptions of the project’s scope, a narrative of the construction process, and discussing challenges and how they were overcome. These in-depth descriptions present to the judges why The Dillon ranks on top, which also challenges our team to take a more comprehensive look at the project and the story it conveys to the community. 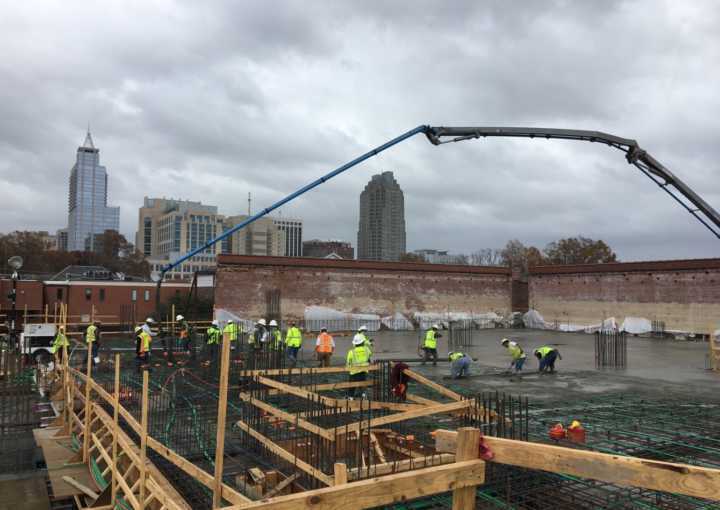 The Dillon Supply project is the first mixed-use development of its kind in downtown Raleigh’s rapidly expanding, vibrant Warehouse District. 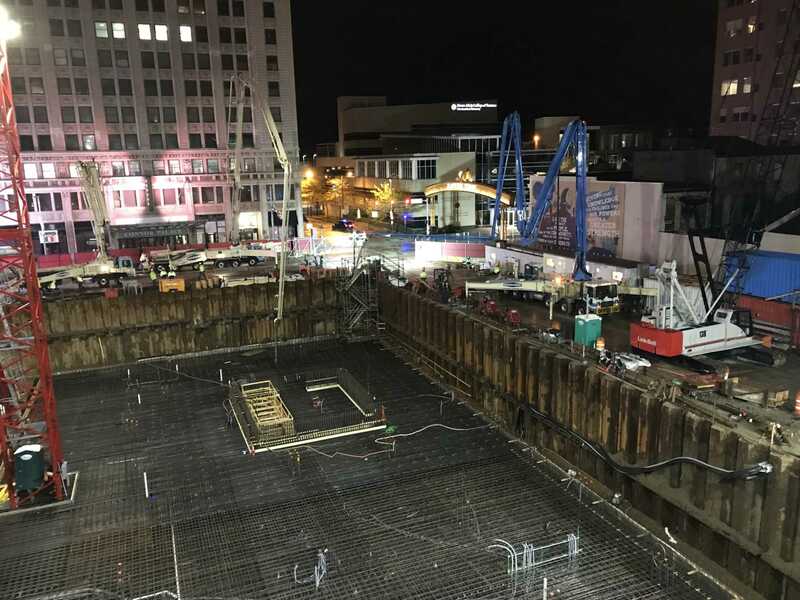 Completed in January 2018, the project included an 18-story office tower with retail space and two six-story apartment buildings with an adjoining parking deck. This structure reuses and preserves parts of the original Dillon Supply warehouse building, a 100-year-old Raleigh company. 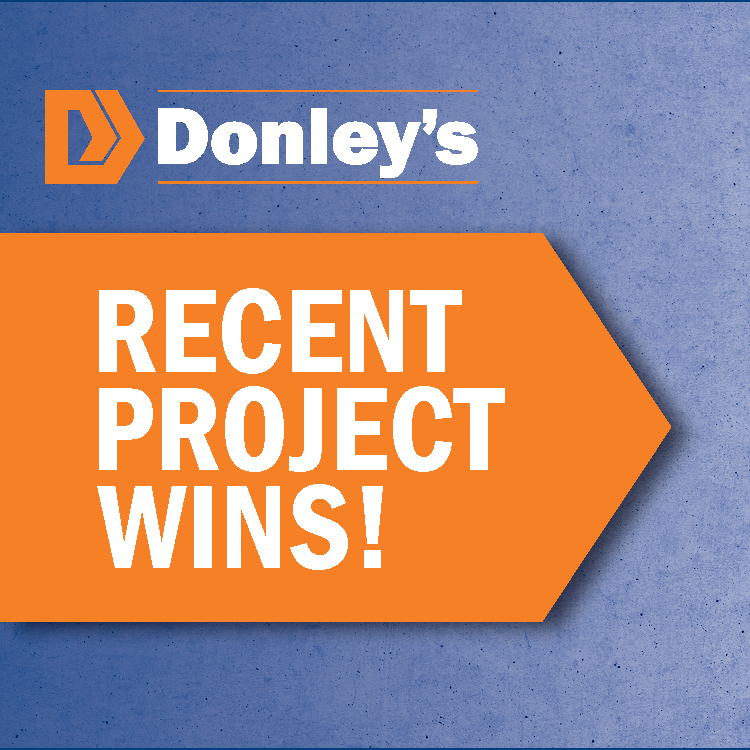 Donley’s provided turnkey concrete construction services on the project to Barnhill Contracting Company and Theys Construction Company. 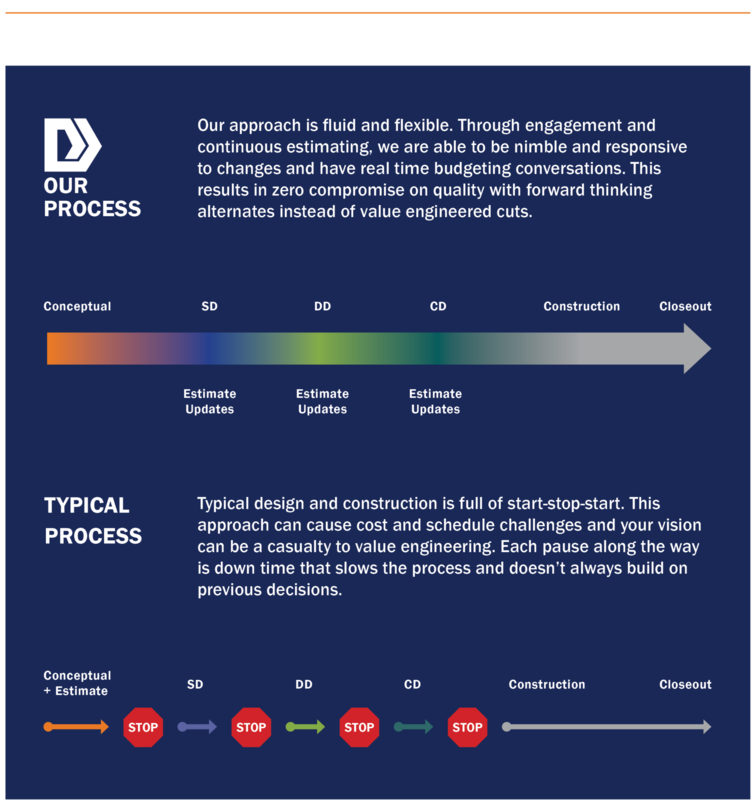 The ABC award application requires detailed descriptions over-viewing the scope of the overall project, a narrative that tells the story, presents to the judges why The Dillon ranks on top, along with a look into some challenges and solutions that occurred during the construction process. It is also important that the application remains creative but does not take any attention away from the overall project. 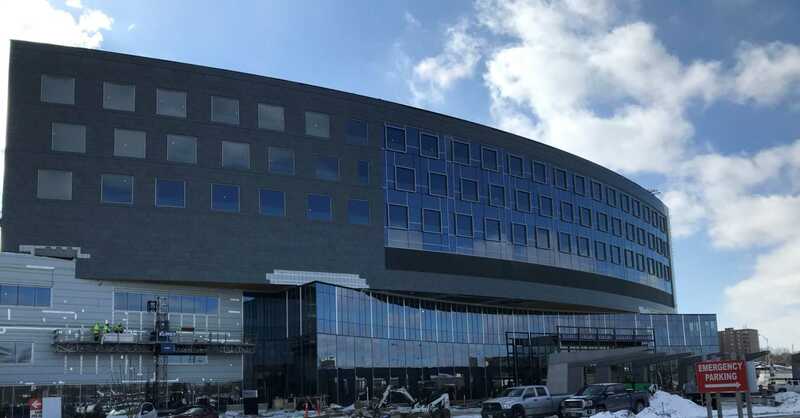 Click Here to view The Dillon award submission and learn more about why we feel this project represents Excellence In Construction. 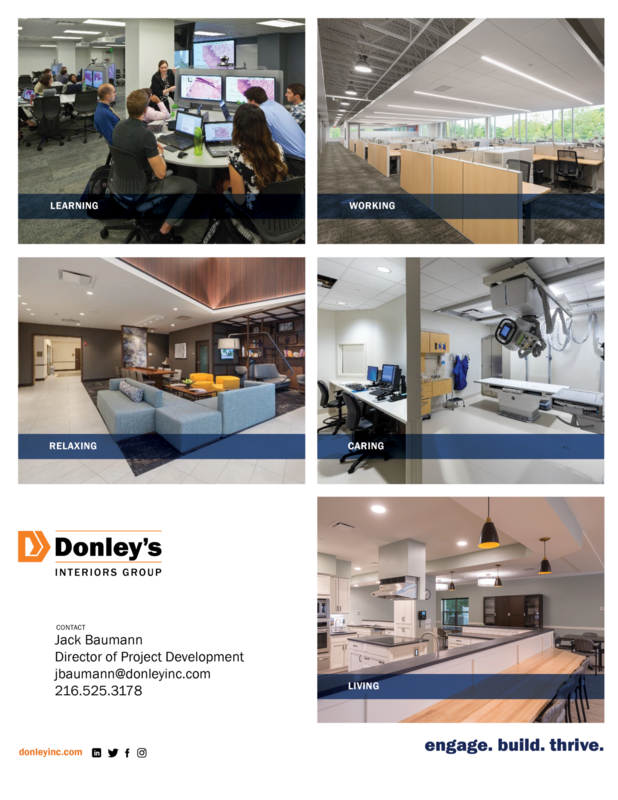 We are excited to announce the launch of the newly designed digital home for Donley’s. 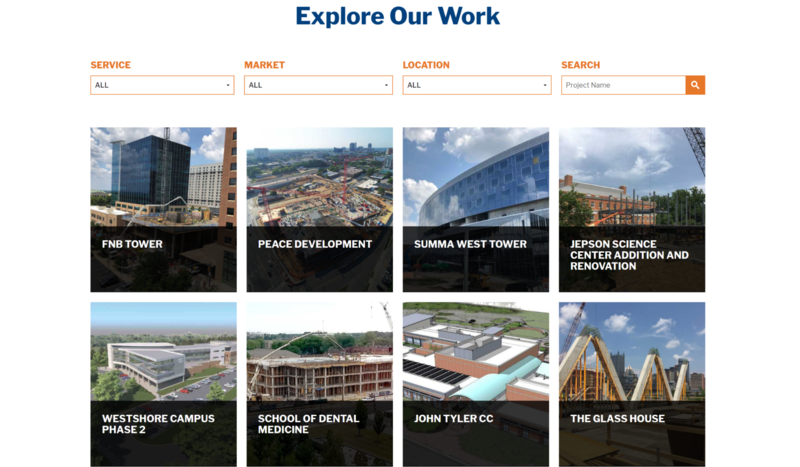 The new website is designed to engage you in learning about our culture, history, projects, job opportunities, and news offerings as effortlessly as possible. Our goal was to bring you a simple and modernized platform. Furthermore, we think it better represents our genuine people, family culture and focus on delivering and sustaining our clients’ vision. It is our hope that you will immediately take advantage of everything the website has to offer including our compelling and interactive interface, upgraded navigation tabs, engaging numbers, stats and information, a careers section that can be translated to Spanish along with our easy to customize project gallery. The CM Group won the $50.7 million Ohio University Heritage College of Osteopathic Medicine (OU HCOM) project! The new building will be on the Athens, Ohio, campus. 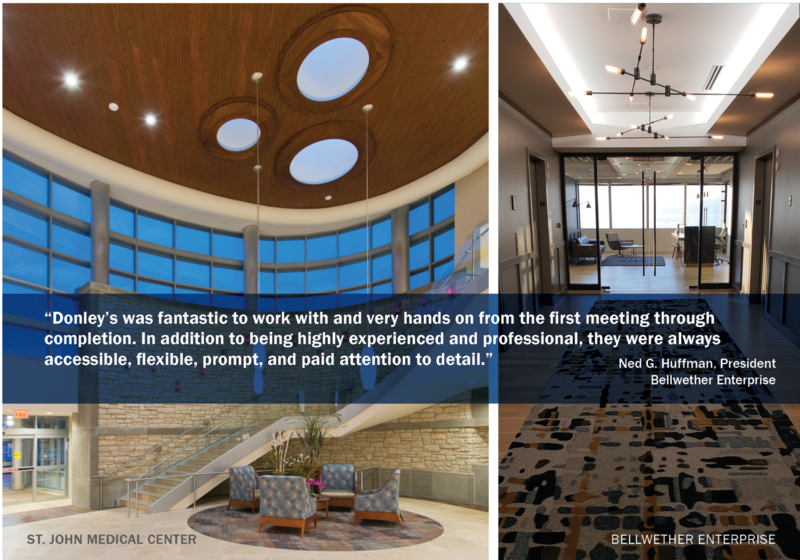 Our team previously completed a project for OU HCOM at South Pointe Hospital in Cleveland. 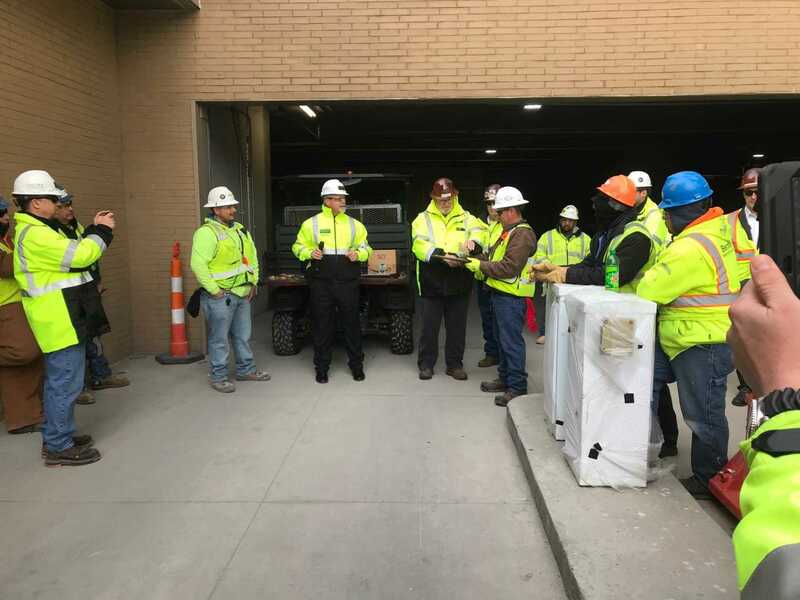 Last week, Donley’s Concrete Group in Raleigh was awarded the $5.5 million Fresenius Kabi Wilson Expansion project with Gilbane Construction. The plant expansion is 350,000 sq. ft. on the pharmaceutical company’s campus in Wilson, North Carolina.